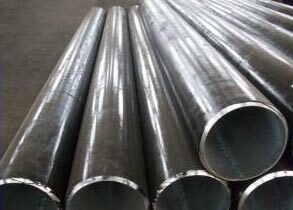 We manufacture, export and supply durable ASTM A178 Carbon Steel Pipes extensively used in engineering and construction industry. The size of our Carbon Steel Pipes ranges from 1/2" to 5". We make available these pipes in diverse sizes, thicknesses and grades to suit the demands of buyers. Moreover, obtain from us these Carbon Steel Pipes in bulk quantities and at very affordable rates.